Providing real life solutions to everyday healthy living challenges. Hello lovely friends! This post has been in my mind for a while and I'm super excited to write about it today. Let me start by saying I have no connection with any of the companies I want to talk about, they aren't paying me to write this, nor do they even know who I am. I am just obsessed, and wanted to share with you. So, anyone else see ads on Facebook or other places about boxes that come weekly with everything you need to prepare dinners? I see them all the time, and last fall I started looking into them more. My husband had also been seeing them, and his work had recommended one company and sent everyone a code for a discount if you wanted to try one. 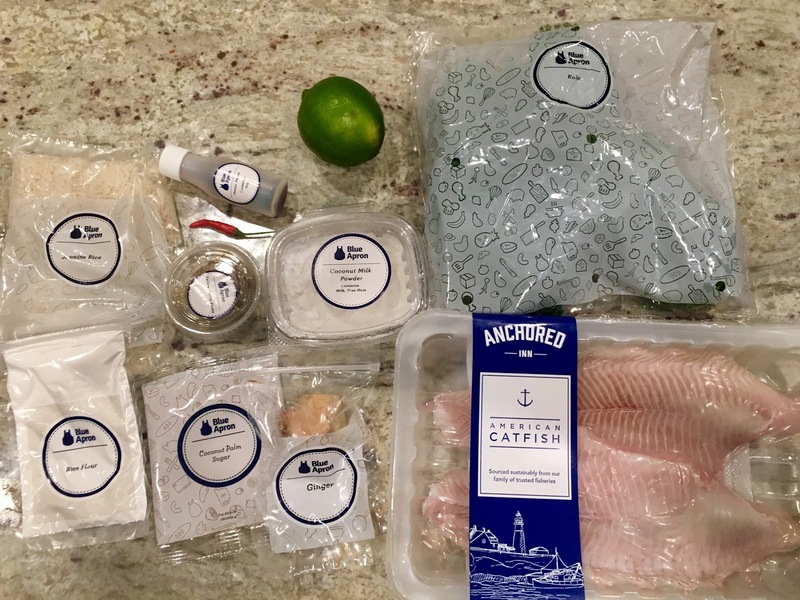 First, we decided to try Blue Apron. 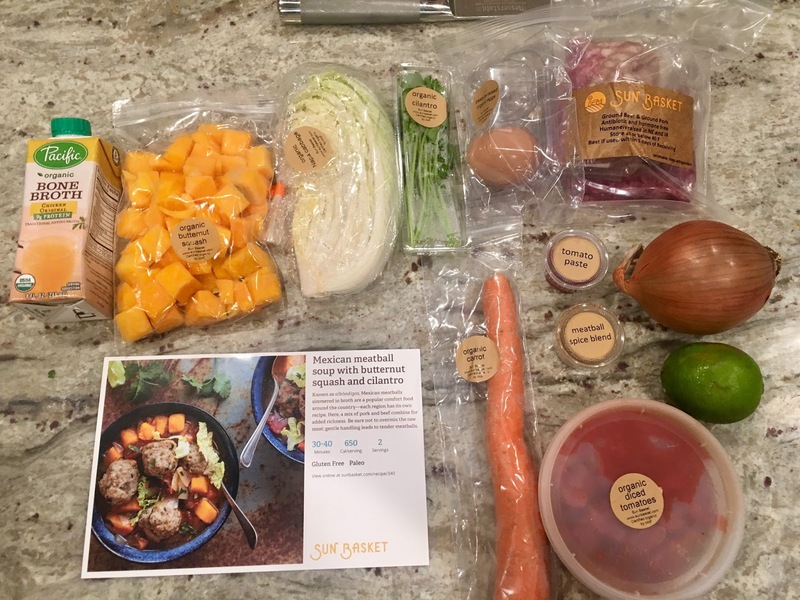 If you haven't looked into these, the idea is that you select 3 recipes from what they offer each week, and on a day you choose, they send you a box with all the ingredients and recipes needed. The boxes are insulated very well and have large (recyclable or reusable) ice packs in them, keeping everything safe and cold! I was smitten right off the bat. Here's the thing, dinner can get boring. I get subscriptions to countless cooking magazines, I have more cookbooks than I could ever possibly use, and I struggle with variety. Not only that, but I pick recipes similar to things I know I like. Everything starts to taste the same. Also, lets say you want to try something brand new, it adds up to buy every single ingredient, and what if you never use that bottle of fish sauce again? Plus the planning and prep and shopping takes some time. 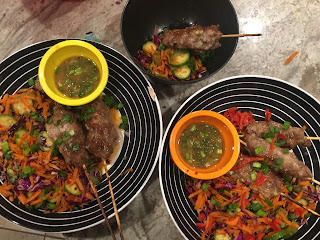 So, here I had 3 completely different dinners, all the ingredients and recipes at my finger tips, in the correct amounts! Correct amounts was huge because we hate left overs. We never eat them, they take up space in the fridge, and cleaning them out is the worst. Some people do well with left overs, we aren't those people. I LOVE how clean and organized my fridge has become since starting these. We decided we loved these meals, and wanted to see what other companies offered. We tried Sun Basket next. Their niche is everything is 100% organic, sustainable, grass fed, cage free, etc. They are a little bit more expensive than the others we tried, and their recipes weren't ones I enjoyed as much, and they didn't have an app. I need an app. All the others I tried have an app, and it is so incredibly easy to pull it up and check out the coming weeks meals. 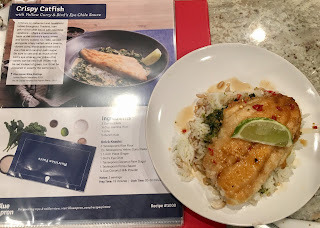 Home Chef was the next one we tried, this has been the winner for us! Home Chef is the same price for 2 people as Blue Apron, but they have tons of options. 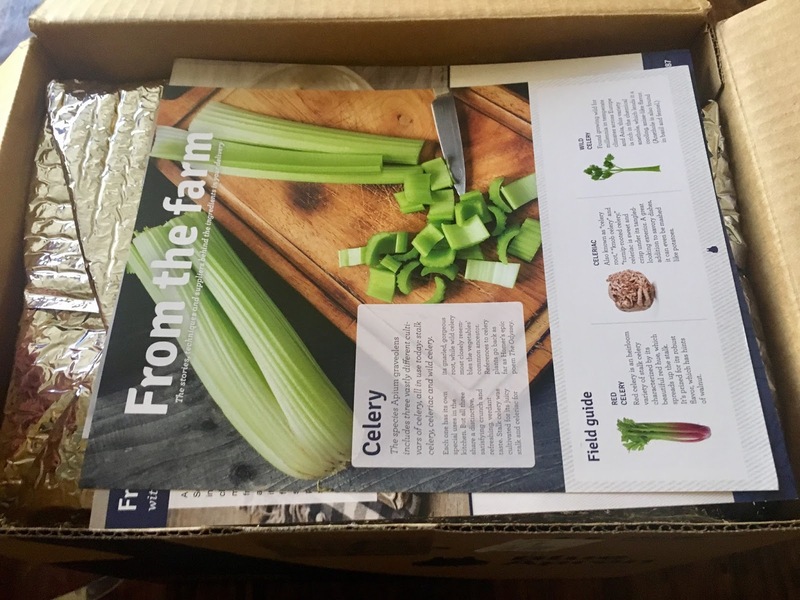 Blue Apron only lets you choose Regular or Vegetarian. Home Chef has multiple options every week, sometimes I can't even decide and we end up getting 4 or even 5 dinners instead of the usual 3. We have so far, never had a dinner we didn't love. We try really hard to stick to the script (recipe) because we know they know what they are doing. I try not to add or take out things that don't sound like they work, because they always work! One caveat to this, is that sometimes I add extra vegetables. I will look at the coming week, and if they have cabbage, green beans or sweet potatoes (something like that), I may buy an extra one or two when I'm at the grocery store to add to the dinner. I also keep salad on hand, and sometimes we add that on the side. We get the meal for 2 people, and feed all 3 of us. Miss M doesn't eat much of anything, but she tries everything. We always plate her dinner just like ours, so I like to add a little extra. The final one I will mention is Hello Fresh. They are the same price, have tons of options, they have an app, and they are wonderful. I have just loved Home Chef's recipes and options more. 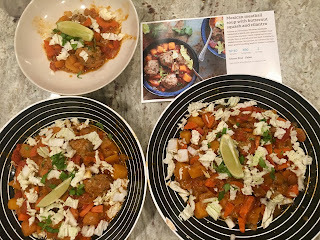 However, for a family of 4, I would lean towards Hello Fresh, they are cheaper for 4 people than Home Chef. 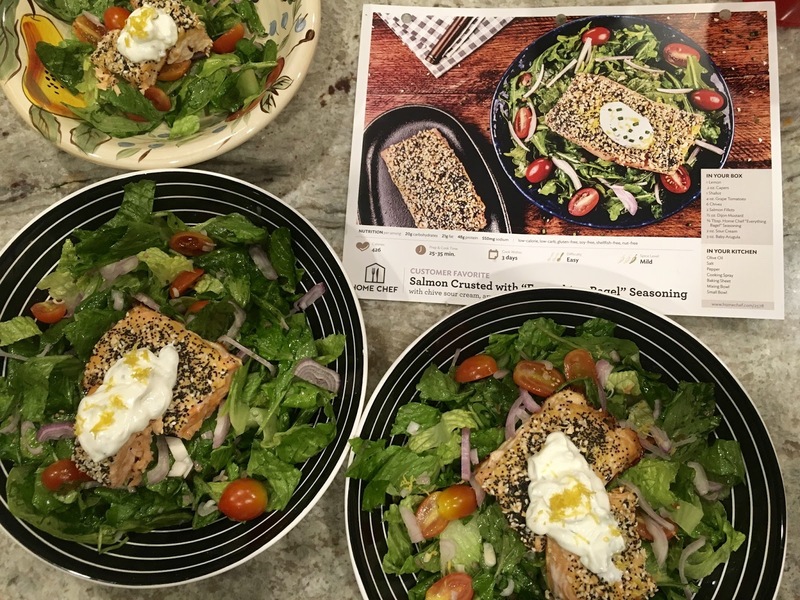 Home Chef is double the price, where Hello Fresh only adds on a little extra. Here are some of the meals we have done. We have been doing dinners for 6 months now, and if you have even thought about trying it, do it! A few thoughts we have had as we have been doing this. Dinner is never the same! Tons of variety in the easiest way possible. When we have long days, dinner is done. We know that there is a complete meal at home waiting to go. Some meals are 20-25 min to prep, some are longer, maybe 45 min, we do those on nights we are not in a rush. We usually cook together, and it is so fun. 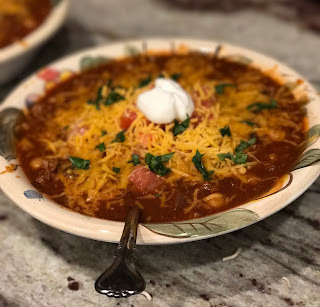 These dinners cut down on eating out, we are almost never eating out because we don't have to grab something quick on the way home when we haven't been grocery shopping, and every dinner feels like a dinner out! The meals are incredible. We actually do save money. It may seem like too expensive, but its cheaper than take out and WAY cheaper than going out, my grocery bill is way down, and we never throw food away anymore. I focus on buying breakfast, snacks, and lunch prep, its faster. I never buy 1 carrot. But sometimes that is all you need. They send you exactly what you need. We have less dishes, they are usually a cutting board, a knife, a bowl, and one or two pans. Usually one is a sheet pan you can cover in foil and then just toss the foil. You don't need many kitchen tools with these, they assume you have very little on hand. You only need Olive oil, salt and pepper as far as any ingredients from your own kitchen. I have been introduced to new foods. Freekah? I had never tried it, and it was so good! I love that you control the salt, if you need to watch that. They give you the nutrition facts for each meal, and you can explore all of that before you choose. You can choose vegetarian dinners, low carb, dairy free, nut free, gluten free, depending on your needs. If you are Vegan, I suggest trying Purple Carrot, they offer 100% Vegan options, where the others are only guaranteeing vegetarian. 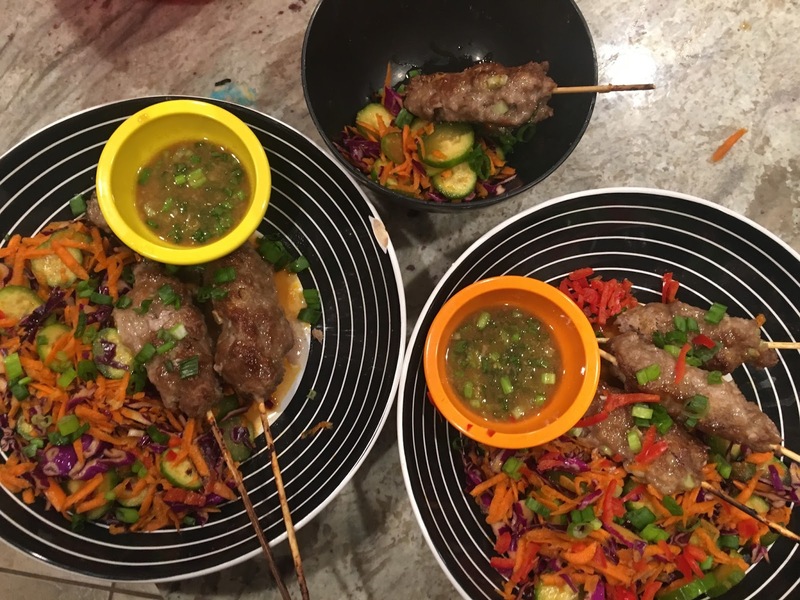 Home Chef is 59$ for 3 meals for 2 people. 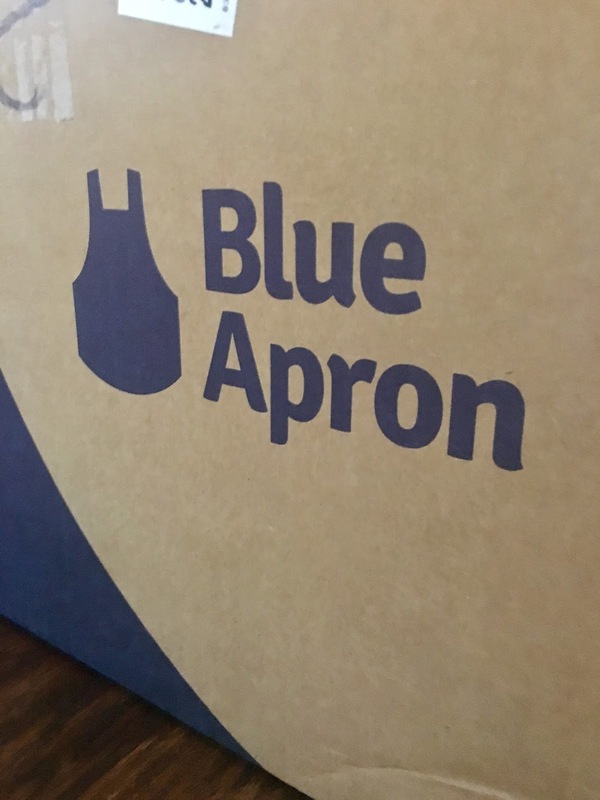 Hello Fresh and Blue apron are the same. Sun Basket was 75$. They all have you sign up, and it is recurring weekly. If you don't go back to it, they send you a box with 3 surprise meals (oops...). But, you can pause or skip weeks, as many as you want, without any fees or charges. You can cancel at any time. I get on each at the beginning of the month and go a month out with skipping weeks, pausing delivery, and picking what meals I want from where. I still have subscriptions to Home Chef (which I get every Wednesday, meaning I have a box on the way right now! ), Blue apron, which has been on pause for a month now, and Hello Fresh, which I also have paused all month. 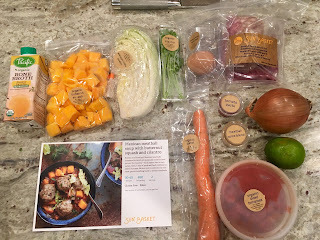 If you are interested in trying Home Chef for the first time, use my code for 30$ off! (and yes, that will get me a discount on my next box - thanks! haha) And remember, if you don't want to keep them coming, that's easy! It is easy to cancel or pause or skip - no charge for any of those. There is no risk to trying, and 3 dinners for 30$? Can't beat that! 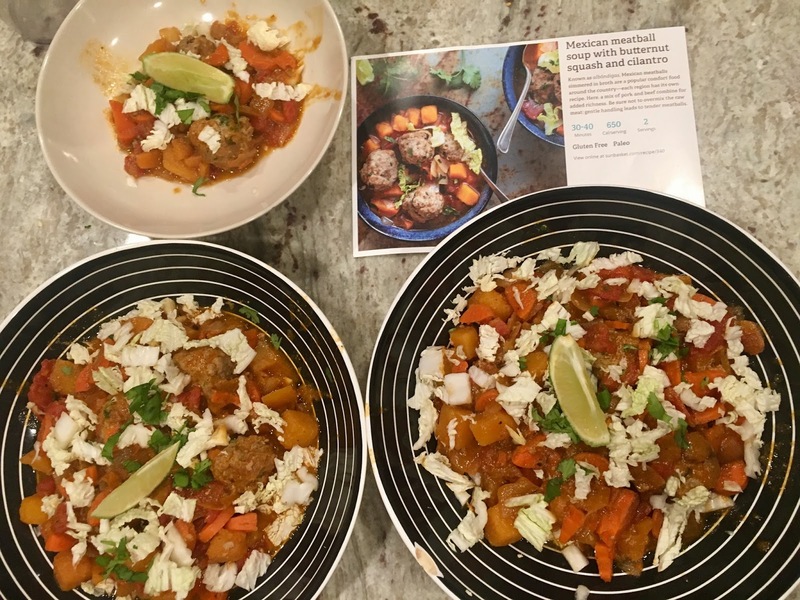 If you want to try Hello Fresh, which is a better price for a family box, here is a link for 40$ off your first box! Happy Friday! Yay for another successful week. Or at least surviving another one. Some weeks are better than others. Can you believe its March? In Arizona, I think its my favorite month. It is where we get some cool nights, but our days are beautiful. If you have ever wanted to visit, we have Spring Training games for Baseball, and its beautiful, now is the time! Today I have been thinking a little about the mentality of dieting. We like to have a good starting point. Does it make us more successful? If we start on Monday compared to Friday? If we start on the first of the month, instead of the 22nd? Some may say yes, but I don't agree. I find myself in that mentality sometimes. Specifically this week. I found myself thinking, "Lets do better in March! It starts Wednesday, lets start then." Why? Why not right now? I think the mentality is most prevalent when we are thinking about a diet, instead of healthy living. Drastically changing our habits from what we are doing, to what we "should" be doing. While that may be ok for a week or a month, or for sometimes just a quick (temporary) change, its not life long, and lets be honest, it is exhausting. Eat a vegetable or two or three. Make that your snack, or add extra to dinner. Skip the sugar. Stock up on something that helps with your sugar cravings. Instead of the skittles for your snack, have some strawberries. Have a greek yogurt. Be creative with your very next meal or snack. Go to bed earlier. Sleep makes everything easier. If you have trouble sleeping, look up something you can do differently tonight. I have a noise maker, a fan, and an electronics ban, and I'm careful with what I eat before bed. All combined, I fall asleep better and stay asleep better. Those may not work for you, but something will. Lavender? Warm tea? Hot bath? Darker room? Meditation? Drink more water. Right now. Go fill up your water bottle and drink it. Shoot for 8 oz more than you did yesterday, increasing weekly, until you are comfortably drinking 80-100oz a day. Protein! Are you getting enough? Often enough? Most of the time, the answer is no. Bring a string cheese or almonds with you tomorrow. Make sure you aren't just getting protein at dinner time. Boiled eggs, or egg muffins are easy for breakfast. Greek yogurt, string cheese, almonds, or turkey jerky are easy snacks! Get out of the procrastinating mind set of tomorrow, monday, next month. Grab your health by the horns and jump in right now. You can always change something right now. I am testing the waters with digital health coaching, and online coaching, which lowers your cost, makes me more accessible, and gives you more options. If you are interested in learning more, send me a message at jennasteprd@gmail.com. Thanks, and have a fabulous weekend! 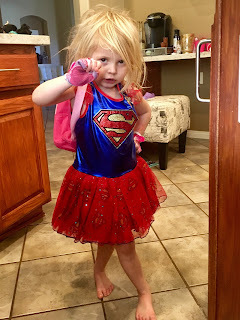 Super M is on your side and as she says "on your team!" You got this! Happy Friday! Find the center. Balance is certainly key. I am getting close to feeling balanced, so obviously that means life is about to throw something new at me. I'm deciding the key is learning to deal with the change and not let it get to you. Obviously, that is so much easier said then done. But isn't recognizing it the first step? :) Ok, so check. First step done. Yesterday I went to my parenting class (seriously, if you have the option of attending any sort of parenting classes or support groups, do it!) and they talked about Needs Assessment. I do that for my clients, but do we do it for ourselves? Divide a sheet of paper into 4 quadrants. Label one section Mental, one Physical, one Emotional, and the last Spiritual. What do you need to be happy? List ideas or things you need in each quadrant. Then conquer! Find ways to make sure you are getting those important things in your life. It will be so different for each person, and your own will change as you grow and life throws new curve balls at you. Keep that paper somewhere you can see it daily. Ok, do it now. You will be happy you did. 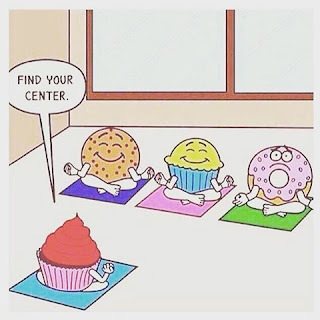 I promise it will help you find your "center" and feel more balance and focus. Tell me, what would be the first thing you would tackle on your list? Mine is starting a gratitude journal and focusing on what I am grateful for. I listed that under spiritual. I'm on my way :) Have a great day and weekend! 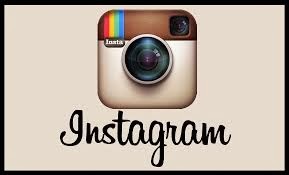 I am a registered dietitian with a passion for food, nutrition, and healthy living. Jenna Stephens, MDA, RD 2016. Powered by Blogger.